TLX Matrix Switches are high performance, modular, non-blocking switches for complete, end-to-end switching of video, audio and peripheral signals over multi-mode or single mode fiber optic cable or CATx cable. 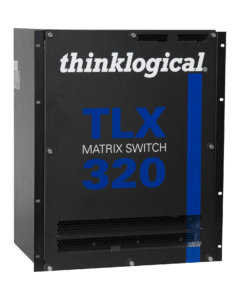 TLX switches are protocol agnostic, supporting numerous video, audio and peripheral signals, allowing users to consolidate all of their system switching requirements in a single chassis. The TLX320 is ideal for larger system applications, scalable from 16 ports up to 320 ports. 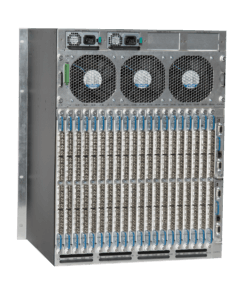 Each port supports 10Gbps bandwidth, preserving signal integrity to provide uncompressed, high resolution video with no artifacts, no added latency or lost frames. Thinklogical’s re-clocking technology ensures that every video and data stream is delivered in perfect synchronization.